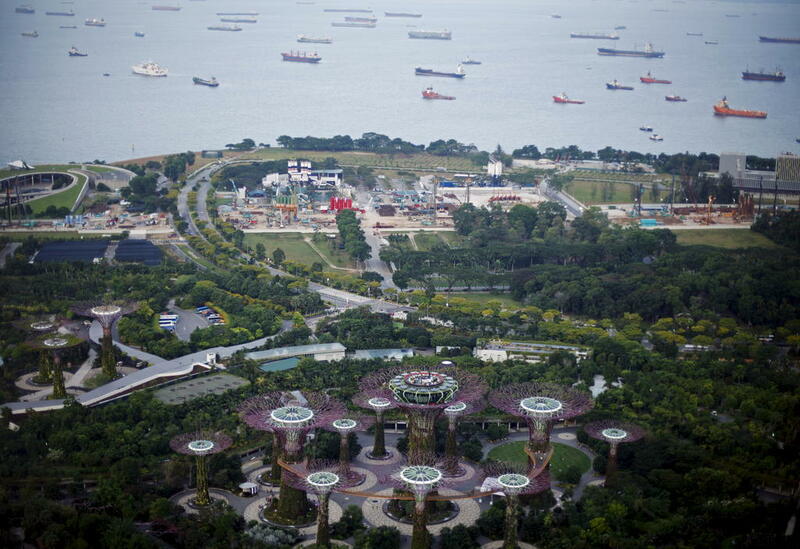 Ships pass by the man-made coastline of Singapore, July 16, 2015. Data from the Singapore Land Authority showed that Singapore had grown to 724.2 square kilometres in 2018 as compared to its land size of 581.5 square kilometres in 1959 — a 24 per cent increase. SINGAPORE — A short documentary by a Cambodian filmmaker that claimed Singapore has imported over “80 million tons of sand worth more than US$740 million (S$999 million) from Cambodia” went viral here recently. The 16-minute film once again shone the spotlight on Singapore’s heavy reliance on imported sand for land reclamation. The 2018 documentary by Ms Kalyanee Mam, who won an award for it at an environmental film festival held in Washington, United States, in March, claimed that Singapore’s need for sand has destroyed the livelihood of a community on an island off Cambodia’s coast. According to media reports, Singapore had stopped importing sand from Cambodia after a ban by the latter took effect in November 2016. When contacted about the claims in Ms Mam’s video, the Ministry of National Development (MND) would only say that it does not condone the unlawful import of sand. Ms Mam, who is based in the United States, could not be reached for comment. Find out why there is so much controversy over this highly valued commodity.